We have the largest portfolio of properties for Condado de Alhama. Private Resales. New Build Apartments and Villas. Long Term Rental properties. 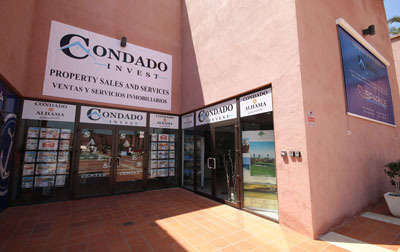 Our expertise and sales and after sales care are second to none for Condado de Alhama Golf Resort. 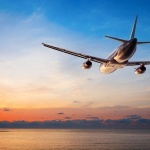 See our special offers on viewing trips. Check out our HOT PROPERTY of the month! Fantastic offers prices to SELL! Excellent for both golfers and families alike, and located just 20 minutes from the beaches of Mazarrón in the region of Murcia. An 18-hole Jack Nicklaus designed golf course rated number 43 in the top 100 golf courses in Spain, 24-hour security, plentiful gardens and communal pools, and a lively commercial centre with various bars and restaurants, combined with unbeatable low prices, all make Condado de Alhama an incredible investment opportunity. Los Jardines 2 and 3 bedroom apartments. Communal pools. Large roof terraces. Private gardens. Los Naranjos 2 and 3 bedroom apartments. Penthouses facing the Jack Nicklaus designed 18 hole golf course. South and South west facing apartments with fabulous views. 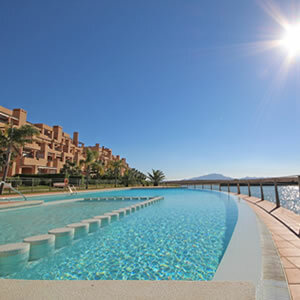 La Isla apartments surrounded by water and magnificent countryside. Peace and tranquillity yet a short stroll to the commercial center. Luxury spacious new build apartments. Front line golf locations. Large gardens on ground floor. Private rooftop solarium’s on top floors. Luxury Villas, 2,and 3 bedrooms with 2 and 3 bathrooms. Individual pool options. Large roof terraces. Private gardens. 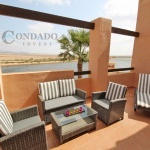 Long term rental properties within Condado de Alhama. Contact us for all of your needs. As the main agents for Condado de Alhama, there is a reason that we sell more then 95% of all properties within Condado de Alhama. 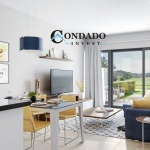 A very special offer from Condado Invest. Hacienda del Alamo is a superb resort of the highest standards with an amazing PGA golf course and excellent 5 star facilities. Just 10 minutes from the new Corvera Airport, 20 minutes from the cities of Murcia and Cartagena, and just 30 minutes from the beaches of Mazarrón and the Mar Menor, this resort is a fantastic opportunity to invest in your dream home in the sun! Pueblo Español. Apartments and townhouses located next to the luxury club house. Beautiful walk ways with views to the spectacular golf course. Los Olivos 2 and 3 bedroom apartments. Exquisite apartments with the ultimate WOW FACTOR. El Oasis. Apartments with communal pools and plunge pools on the apartment terraces. Close to the new Sheraton hotel and Spa. Villas. Beautiful spacious villas with communal pools and wonderful sweeping views. These villas are of the highest standards as usual for Hacienda del Alamo. Founder of Condado Invest and owner of our holding group, Resort Investment Solutions. Andy’s experience in the Spanish Property Sector spans over 20 years. Co-founder of our premium brand, Premium Golf Invest, Monica has a wealth of knowledge in the Golf Resort and tourism sector. An expert in the field within the regions of Murcia and Alicante. ensuring a full back-up service for all of your needs.